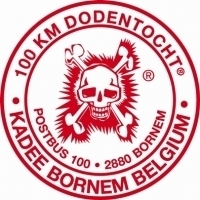 From Friday night to Saturday night I'm going to be competing in "Dodentocht" (translation: Trip of the dead) which is a 100 km (65 miles) hike through Belgium that you have to complete in between 8 and 24 hours. Anyway, I'm also planning on doing a 3-day survival course in Scotland this summer but since I've got 2 months off until I'm back to school -yes, I decided to study some more :p - I've got plenty of time for more "challenges". Robin Ice definitely was the way to go for me. Keiryu well you went into this almost blind with only a day to prepare and you still managed to finish it so it´s normal that your body is now giving you the full backlash so it´s normal like i said you should take at least a day of maybe two before even trying to do any kind of long walks. Keiryu well i enjoy hiking and walking in general there are a few things i can recommend for training but in the end it is all up to what you want to do and if it is serious or just for fun. 1. Train Regularly: You should work out at least once a week but personaly i recommend to do it twice(Three if the time you have allows it) with interval so it would be like this at the end of the week(if you work out three times a week). "1. Training, 2. Rest, 3. Rest, 4. Training, 5. Rest 6. Rest 7. Training." 2. Cold Feet: You should bath your feet in cold water every day that way the skin will harden and hurt less while taking long walks. 6. Time Management: Know exactly if what you want to do can be done in accordance to the time you have so do´t try to walk to Las Vegas if you have to work on monday...trust me it is much better to take one or two hours and get to your target then waste 6 or 7 and in the end just failing to reach your target. 7. DRINK DRINK DRINK: Water is your best friend always carry enough for you to drink water is even more important then food so don´t be shy to go BOTTLES UP!!! 8. Warm Up: probably one of the most important things you have to do don´t just start Working out without warming up first those 5 or 10 minutes you think you wasted are actualy going to make a big difrence. 9. Slow and Steady Wins The Race: You should avoid rushing into things instead of running you can just walk and slowly find your own pace and once you have found one you should keep going at it even if it might be just a slow walk you will end up going much farther then the dude who takes off at top speed right at the start. 10: HIT THAT TARGET!!! : You should realy aim for something maybe Weight loss or muscle gain or just becoming a bit fitter that way you end up having a real target that you want to achieve. So yeah other then that you should just hope for the best and have fun of course there are many more things you can do but like i said it realy depends on how far you want to go and sadly i just don´t have that much knowledge about the "Dodentocht" to help you out since location terrain weather and so much more should be considered heck even your mood needs to be considered so yeah i don´t think i can help you for the actual hike but i still wish you luck . Robin I think I'm going to compete for real next year instead of just finishing and was just wondering about one little thing I heard. Someone said it's a good idea to wear two pairs of socks to prevent the formation of blisters. Do you have any experience with that [65583,Keiryu] ? Keiryu yes it is advised to wear to pair but that is more for cold temperature or rain if you are doing such a thing in the summer heat it will just end up backfiring however you should always have a second pair of socks that you can change into if necesary another way if you want to wear them during the summer is to wear to thiner socks but personaly i never tought the diffrence was that great from wearing two thin sock to wearing one pair of thick socks the result was always the same for me...then again that´s probably why i am not a pro athlete earning Billions. ^_^ so yeah you can but it is usualy better to just change them or only use two pairs during the Colder weather. Robin Thanks for the tips! Especially that about cold feet. I didn't think about that myself although I am the barefoot walking kind of guy so I hope the skin's hard enough by itself. Will try that next time. Keiryu well if you are realy just in it for the fun i would say just walk at your onw pace and it is best to eat something 1 and a half hour before you start te competition and also if you ever have to take a break you should avoid sitting down since your body will start cooling down and cause your muscles to become stiff and start hurting you should rather stop walking(while standing) and start streching for a bit that way your body can rest for a bit while still keeping warm. and i don´t know if you are allowed to take stuff with you but if you can i recommend taking a spare set of clothes especialy socks since you said that it will be raining wet clothes are the worst thing you could have while walking for a long time. and if you can take stuff with you take also a small medical kit with plasters, bandage and if you can get your hand on some try getting some Vaseline it will help if you get wounds on your feet. other then that i don´t think i can help you any more well of course you should also take water and something to eat a sandwhich for when you get hungry and maybe something with Sugar(Chocolate like Snickers) or even better those sugar coated gummy bears or worms or whatever they have nowadays the sugar will give you a small boost but don´t over do it or it will end up backfiring. well ok now i am sure other then that i have no more tip the rst is all up to you it realy depends all on timing if you had more time maybe i could help you with coming up for a training routine but since it starts tomorrow there is little that you can do to prepare other then the basic things i just mentioned.